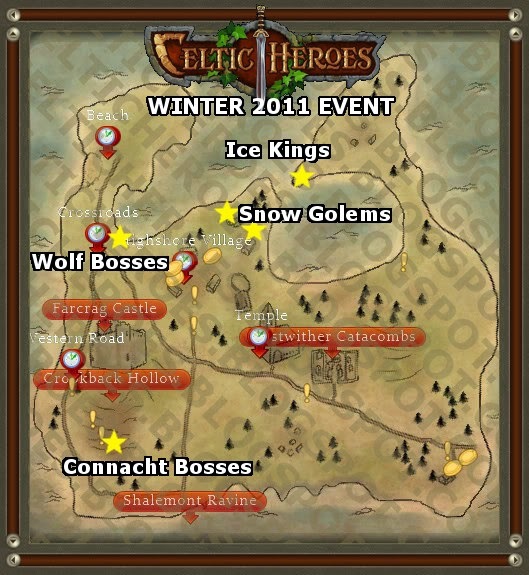 The Christmas patch for Celtic Heroes went live on December 13th, 2011 and ended January 15th, 2012, although some content stuck around after the event ended. 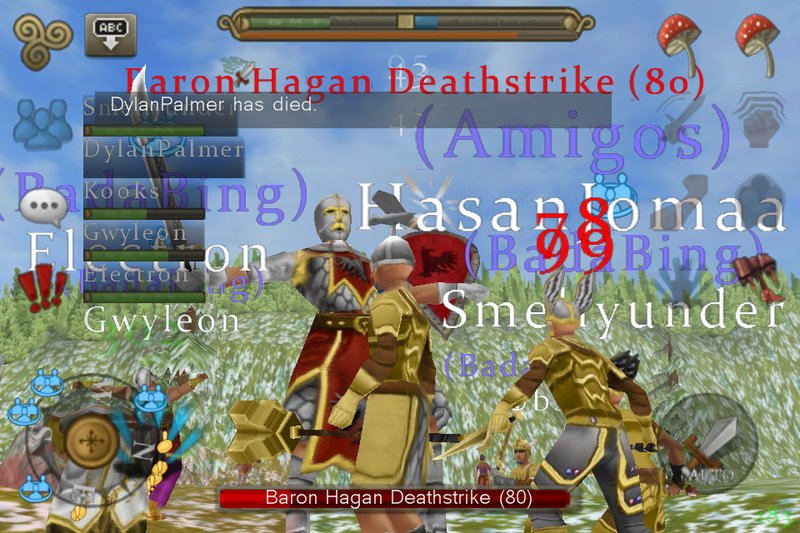 It included new bosses, items, mounts, and quests. They spawned on the North Peninsula in Lir's Reach. Each boss dropped the weapon that they were holding. Frostbelly dropped Winter King weapons, and Icefist dropped Icelord Weapons. These bosses continue to spawn as rare spawns behind the Jotun camp on the North Peninsula in Lir's Reach. They spawn in place of the Jotun mobs behind the camp, so you need to kill them to force an Ice King to Spawn. 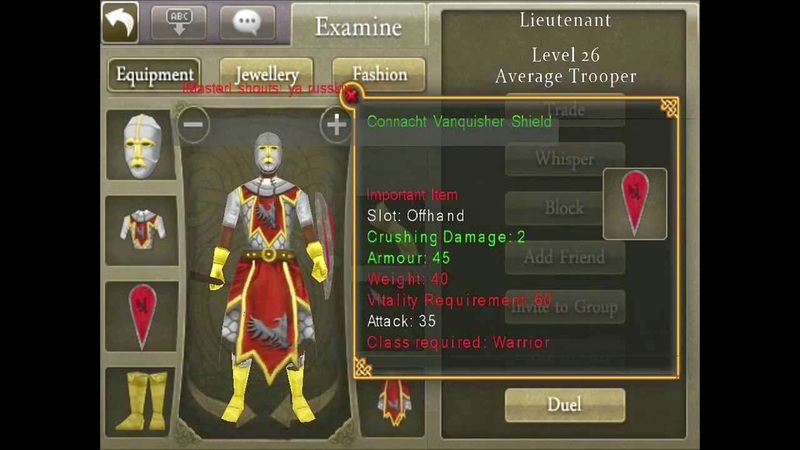 The Connacht Bosses spawned in the field behind the castle, and dropped pieces of armor that formed three types of sets. Each set gave you the appearance of a Connacht. There are a few types of wolves that spawned at the crossroads. They dropped wolf helmets that provided some resistance to a type of damage, depending on the type of helmet. 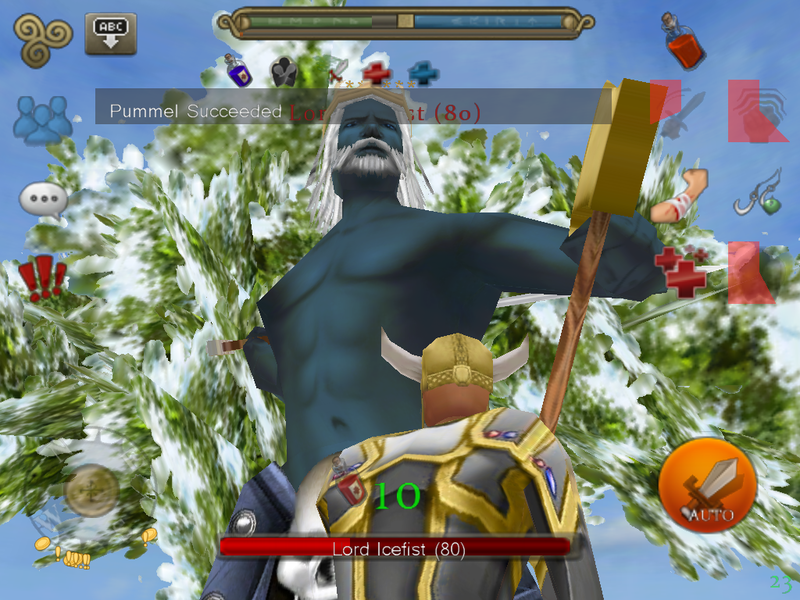 These bosses continue to spawn as rare spawns to the West and East of the Crossroads Leystone, and South of the Western Road Leystone in Lir's Reach. They spawn in place of the wolf mobs , so you need to kill them to force an wolf boss to spawn. This quest was given by an NPC at the tree just outside of Highshore Village to the East. She gave three quests. The first was to kill 10 Frost Spirits, and return to her. The second was to defeat Queen Midwinter. The third was to kill two Frost Golems. The reward was a Yulestave weapon. It was a wand and had no class restrictions. Queen Midwinter - Blue fairy in front of the castle to the left of the entrance. Snow Golems - Large snowmen mobs that bounced around the fields behind Highshore. The Snowman helmet was a reward from a quest, where you had to find small snowment around lir's readh and destroy them. You would then return them to Jack Frost who was stationed near the Beach Leystone. 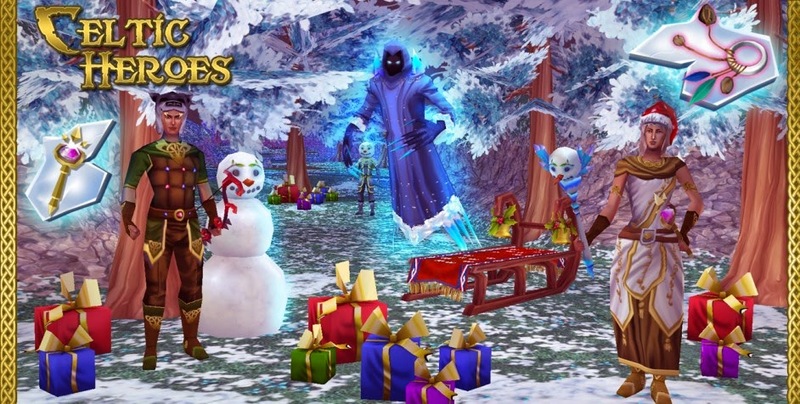 The Yulefather in the castle needed you to collect presents scattered around Lir's Reach. His quest was multi-part. He first needed you to collect 5 red presents, and you were rewarded with a Yuletide Hat. Then he needed you to collect 5 green presents, then 5 blue presents, then 5 purple presents. At the end, he would reward you with a Snowflake Ring. 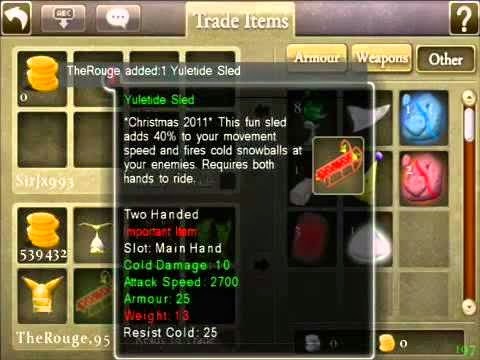 Sleds - The mounts for this event were sleds, the rarest of them being the Avalance Sled. It cost 200k. Increases your character's size. Continued to be sold in Quigley's shop after the event. Removed from shop December 2014 with the Destiny Engine Update. Decreases your character's size. Continued to be sold in Quigley's shop after the event. Removed from shop December 2014 with the Destiny Engine Update. Decreases the range that enemies can detect you at. Continued to be sold in Quigley's shop after the event. Removed from shop with the V3 Otherworld Update.